Ley Lines or Earth Energy? What’s the reality? To understand more clearly the importance of these certain lines of force and the part they play in manifesting paranormal phenomena, we are going to have to go back in time to when our native ancestors used sympathetic magic to ensure success in the hunt. 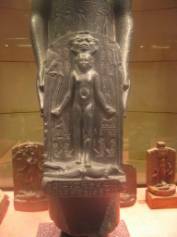 The abstraction of there being a 'God' or ‘Goddess’ is one of the oldest concepts in the history of man, and it is racially a universal one. In the very early years of his evolution, man only worshipped that which he could not control. When he looked up at the sky he saw the Sun – and at night, the Moon and stars. Much later he observed the movement of the planets, and these were perhaps among the very first things that he worshipped, as he did not have any control over their movements across the sky. Indeed, it was perceived that these “Gods” of the sky actually controlled the lives of mankind, through the cycles of the seasons and the connection of the planets movements with nature. The Sun became the great 'Sun God' . . . the Moon a Goddess. The planets were given names, and many stories were told about them. As the planets could not be controlled by any ordinary mortal, they then discovered that they could compensate for this lack of human control by personifying the planets and bestowing on each of them a god-like human personality. Each planet along with the Sun and Moon became a family of human gods and goddesses. Already it seemed that man's ego would not allow him to believe in any higher power that did not look and behave like ordinary man, but with a difference . . . they were divine, and had divine powers of control. Early man believed that if he was good, he would later – when he died – be given access to this realm of the gods, and live with them for the rest of eternity. This fact is seen for instance in the resurrection of the Pharaohs to the heavenly realm. Along with this pantheon of celestial gods, there was also the natural phenomena caused by the clash of natural elements: storms, rain, wind, thunder, lightning – and of course fire, which man also worshipped as he found it could destroy most things, including his own body. It was only later that man gained the insight; that on a superficial level, fire does seem to destroy things. But on a higher level of understanding fire is the energy that transforms. Man spent a great deal of time worshipping those things he could not control, the only compensation being that he applied human form to them so that they seemed controlled by higher beings but in man's image, and so they were seen to work in accordance with man's behaviour on earth. Through this concept man felt that he could control things, even though it was in an indirect way, by way of his behaviour. Much of man's early evolution has been given over to this worship of the external world about him, and from these early concepts came an insight into the importance of morality and the learning of right thought and behaviour. It has always been the way of man to see behaviour in animals, stars and planets, his own perception of the world that surrounds him. Even today we interpret animal behaviour by our own instinct – so it is basically part of human evolution to do so – a survival method. Although man's early attempts at morality were superficial, whereby it was negatively caused by fear, this was the first step to intelligence; for it was through his evolving intelligence that man recognised the root of that fear. Although a massive over generalisation, we can say that as man began to live in tribes and these tribes began to run out of land and resources, it wasn't long before tribal warfare became a way of life for the selfish accumulation of additional land and it's resources. Archaeological evidence has shown that early man in fact lived very much in peace with his neighbour, but as civilisation grew and land and resources became scarce he turned his instinct to war. Envy was the driving force that urged man to conquer. He killed those that posed a threat, and then made slaves of those who wouldn't or couldn't resist. He then impressed his gods and goddesses on the people he had subjugated, and therefore in time certain pagan religions were formed by the enforced amalgamation of all the variations of celestial and elemental tribal worship. It was the utilisation of these early religions for propaganda and marketing techniques, which led directly to the creation of the early Shining Ones (See The Shining Ones by Philip Gardiner) and vast network of power brokers hiding behind the façade of religion. The “gods” they created were believed to control the elements and could use them as they wished – as weapons of destruction – again a distinct association of man’s own behaviour forced upon their own gods. A wonderful new power game was created, the idea that mankind should keep the gods happy and satisfied so that they wouldn't use these “weapons” against him. This simply meant that the populations of the tribal units or even early civilisations had to submit a percentage of their produce to the religion in-order to stave off the vengeful gods. As we know for instance the early Yahweh was just such a god – hence the reason for the clear difference between the Old Testament vengeful god and the loving god of the New Testament – a stark and textual piece of evidence showing the evolution of the power of the gods. An example of just how these gods were shown to be vengeful is seen in Jupiter (the thunder god who is not surprisingly associated with Yahweh, also a thunder or rain god) who when angered with mankind was thought to cause thunderstorms. Man found as time moved on that the divine existence he had created in these gods and goddesses had to be given some credibility, so he kept the question of their divinity safe by creating stories about them which later became the myths and legends which many of us are now familiar with. These stories hide many mysteries – the movement of the planets, the seasons and cycles of planet Earth, the nature of man and woman and much more. All of this was in addition to the worship of the wild beasts and animals that man could not easily tame. 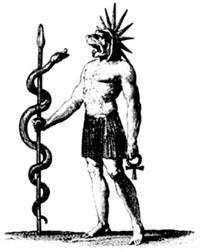 He had worshipped these from almost the beginning, later on developing rituals – as kind of 'sympathetic magical ceremony” and associating them with the celestial signs. These rituals were the first origins of the many kinds of rituals – both good and bad – that people still practice today. Today they are used in many different ways and are a part of institutional life. Rituals and ceremonies – the like of which we take for granted – i.e., weddings, baptisms and funerals for example. Most of us do not realise that all these innocent rituals, stem from a past associated with the attainment of power – which are still being practised in their primitive form in the so-called 'underdeveloped' countries of the world, such as 'Black-magic,' 'Voodoo,' 'Umbanda' etc. Early man used these rituals to ensure success in capturing the wild animals he hunted. And during all the times that he was successful, he must have come to the realisation that he could somehow exert – through the power of imagination and visualisation – some kind of power or force over the world he was living in. It must have worked or was believed to have worked, as these rituals certainly evolved, and in time became more complicated and powerful. This 'power' that man – through the shaman – had somehow instinctually discovered early in his evolution, is the power of making an 'emotional matrix' or template, which is created and reinforced by emotional energy – a psychological tool of empowerment. It was believed that this energy was raised by a trance-induced tribe of people involved in the continuous habit of a certain kind of ritual. For instance, the hypnagogic-trance-state is induced by a repetitive rhythm . . . which may cause the mind to resonate at a certain frequency whereby an invisible matrix is created and connected to the “matrix” of the earth. The only way we can explain this 'emotional matrix' is that we are all so-called creatures of habit – in that our lives consist of a series of ‘repeating patterns.’ In a personal way we always repeat the things we think and do either consciously or subconsciously, and the strength of this habit depends on the intensity of emotion that we receive or we apply when we first experience something new. In other words, it was discovered by shaman, and rather intuitively on his part, that an 'emotional matrix' or template is formed for the experience to be repeated, and it is repeated according to the strength of the emotion that created it: The projection of this emotional energy at a certain location acts like a catalyst into which our visualised thoughts are then captured and recorded. The intensity to which this 'matrix' or 'template' may succeed, depends not only on the amount of people who project this energy, but also on the right location. At least, that was their belief. Now, more important to our investigation here, is that it was found that the best location for this was at the point where two or more lines of force converge and cross. These 'lines of force' are the earth's meridian lines or channels of electric and magnetic energy, or electromagnetic energy. 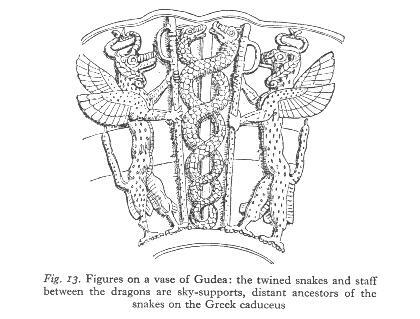 These neutral coordination points or convergence points were discovered via those who were believed to be sensitive to them and possibly through some kind of dowsing method – as we can see in images like the Minoan “snake-goddess” who holds out two distinct energy dowsing rods. At a personal level, our stronger habits are always repeated until we form a new matrix for a new habit – which we would all agree can be quite an emotional wrench from the old one; and one can understand this from the fact that when this happens, we sometimes believe that something about ourselves, or our lives, has drastically changed – we leave the “comfort zone”. Some people when they are referring to their more negative habits would call this recurring action of their habit “a vicious circle” which they feel they can't easily escape from. It is a pattern that has become repetitive, robotic and automatic. Many people are not aware that they spend most of their lives within the frame of a mechanical mental habit. During our everyday experience, we all become attached to certain things, people, possessions, ideas, concepts, hobbies, houses, certain buildings, places, streets, cities, countries, and we also do certain things the same way – the list is endless. The frequency with which we identify with all these things that exist outside of ourselves, range mostly from a rejection of things – which can be an obsessional habit of avoidance – to an acceptance of something which can turn into an extreme obsessional habit of desire. We can simplify this by giving an example of it in ordinary, everyday life: When we go to let's say – a new restaurant, and we instantly like it, our emotions become involved and we take in the general atmosphere of the place. We constantly receive or apply certain emotions to this new place that we find ourselves in. We then retain our experience of it in our memory; the people; the food; the decor; and also the company with whom we are sharing the experience. Now if the new experience has ‘stirred’ the emotions and intensified them in a positive way, then the experience will be repeated, and the habit of going to this particular restaurant will become a pleasant part of our life. We may like a certain place because of its positive atmosphere and ambience, which has been reinforced by earlier positive experiences by other people. It was believed that many people together could create a matrix of emotion at a certain place and this place would then be vibrant with the recordings of certain mental images. This matrix could be a powerful magnetic centre that would attract someone who had the same frequency as regards mental thoughts. This in turn it was believed would cause a resonance, which would recreate the same kind of event. But at certain locations where the earth’s lines of force actually cross, the energy would be so intense that an actual 'playback' of an earlier emotional event would be witnessed by someone whose mind was at the right frequency. This in itself may seem paranormal, but it was a mild event compared to the really strange things that were believed could happen at these points. Now the above examples are what we would call 'sympathetic experiences' related to a large emotional event matrix created at certain locations. Early man instinctively knew this, and used 'sympathetic magic' to guarantee his success in future hunts at the location of the ritual. Stone circles were built at these locations because it was found that these circles could connect together the strong energies, which existed at other power points. Later these places became sacred, and so again, through the centuries many other structures like temples, churches and other important monuments were built on them. During the primitive phase of man's evolution, the mind was used to create an energy field or matrix. Of course man did not understand this at any intellectual level . . . it was only understood at an instinctive or intuitional level. His mind created this matrix through the act of ritual. These early rituals were a kind of drama or 'play' in which someone was dressed in animal skins to play the part of the animal the tribe wanted to capture. The animal skin was an important ingredient in this kind of sympathetic or 'correspondence' magic ritual. The emotions were intensified by a repetitive hypnotic beat or rhythm, and the tribe menacingly danced around their skin-clad victim – and we will use the word 'victim' as this hapless actor was usually ceremoniously killed to further intensify the emotional matrix. This was the origin of sacrifice and sacrifice was usually made on or at these power points as archaeology has proven. The matrix or template can be thought of as a kind of 'magnetic recording' applied to the surroundings of the location by the intense emotions of the tribe's collective mind. It was later found that the right location had to be important for the successful creation of the matrix, and this location was found by sensitive tribesmen (later shaman) at these crossing points within the earth's electromagnetic grid. What we know today as Ley Lines. All of the above can sound distinctly “New Age”, however, there is growing evidence for the science, which backs such ideas and indeed shows these New Age concepts to be especially “Old Age”. The concept that the electromagnetic resonance of a certain place on the earths grid, linking somehow with the electromagnetic resonance of the Neural network of the brain is a distinct possibility. These electro magnetically charged neurons of the brain actually release certain hormones from the pineal and other endocrine glands that give us an intense feeling of time and space - a sense of being on the “matrix”. These hormones are released by various methods, such as the dervish dance, or meditation and even drugs. They are very real experiences to the people affected by them and are archetypal in that we all share the same experience when affected by them, thus giving us a sense of being as one with the whole group. It is in this simple scientific way that man had the sense of being connected to the universe, mother earth and the tribe around him. The archetypes grew into gods and goddesses, into myths and legends, so that now we all perceive this deeper understanding of the Old Age as being “in touch with the earth”. The fact remains, that people really were in touch with the earth through electromagnetic resonance, archetypes and hormones – a perfectly natural and scientific answer to the connection we have with the gods of ancient times. In the Norse legends, the god Odin had an eight-legged horse known as Sleipnir – the shining one. 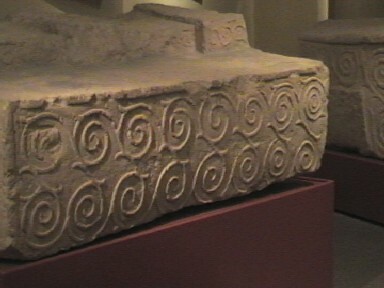 This eight-legged horse can also be equated with the spider, which weaves the web of serpents – serpent energies associated with wave phenomena and the earth’s electromagnetic lines of force that connect everything together – incredibly symbolised as the omphalos used by the Pythoness (python-snake) at Delphi. It is upon this ‘spider horse’ or ‘horse serpent,’ that the shaman rides, and by doing so he ‘trembles the web.’ This web can be seen as a grid – now called the morphogenetic grid. The grid pattern is often depicted in ancient rock paintings as being associated with the state of trance. Some rock carvings will show a line of horseshoe or horse hoof prints alongside lines of snaking, serpent energies, as found at Newgrange in Ireland. These carvings indicate the underlying energy grid. We will often find these carved stones placed on the energy lines and find that the menhir complexes such as Stonehenge and Newgrange are often built upon the powerpoints where these lines converge. As for the shaman who could see these energy lines, the grid form is often seen as a precursor to more complex information patterns – i.e., manifested forms of energy which the shaman would experience as the underlying matrix of other reality domains. Lattice and similar forms – i.e., honeycombed, grid, grating, filigree. Tunnel or similar forms – i.e., funnel, alley, cone. Now going back to early man’s use of these powerpoints in the grid: After a while, stones were placed at these points on the instruction of the shaman, and this was another instinctive leap forward: These standing stones or 'menhirs' as they are called, acted very much like the acupuncture needles that are used in the same meridian channels of energy that connect together all the organs in the human body. Like the acupuncture needles, they found that these stones could stimulate the flow of energy at the location of these crossing points. It was only later that these points also became connected in some way to the positions of the stars. The matrix created at these points therefore became 'magnetic centres' which could attract by the sympathy of their vibration, the same desired events which had been play-acted within them, and so ensured the habitual success of capture. The power of visualisation which has been explained in much detail in new-age literature was also used. This explains the many carved figures and cave paintings that were made, helping early man to advance the power of imagination and visualisation. This was where art had originated, and the real importance of art came into being. Man’s pictures and sculptures impressed the desired object in his mind, causing an intense 'visual picture' which was projected into the matrix at the time of the ritual; thus they brought to themselves the physical realisation of that desire. We need not go on, as it is quite clear that this 'power of the mind' to create events in reality was, we could say, instinctively used by early man to control his environment . . . though it doesn't mean that he understood this power when he first used it and began to develop it. This came later. So we have established, that first of all man had only worshipped those things that he had no control over, then he somehow discovered that there was a way in which he could influence events, thereby having some form of control; and so later those things he had control of, he had no need to worship any more, and this has been the course of events throughout man's evolution. This knowledge was developed which culminated in a civilisation of people whose leaders were believed to be psychically-adept, shaman-priests or shaman-kings who claimed to have been illumined by the ‘enlightenment experience’ and so could utilise it. Thus they became Shining Ones. We say this civilisation predated the civilisations we know of today, which of course show evidence that these later civilisations were still at the ‘worshipping stage’ – having their own pantheon of gods and goddesses. However, the knowledge of this source-civilisation – which may have been lost in a catastrophe of some kind – had spread to these later civilisations through its survivors, and so we see evidence of this knowledge within the traditions of these later peoples. This knowledge is also dotted around the landscape as if preserved in certain ancient earthworks and structures. What this means of course is that by investigating the symbols and rituals of the most ancient civilizations we can see back much further in time and discover the secrets of the ancients and their input into modern day mysteries such as megalithic stones structures, the Holy Grail, the Philosophers Stone and Elixir of Life as we will reveal in our new book The Serpent Grail (see www.serpentgrail.com or www.watkinspublishing.co.uk).